36-year-old Trooper Gerald Ellis was killed in the line of duty on Saturday. An Illinois State Trooper was killed Saturday morning on Interstate 94 near Libertyville after being struck by a wrong-way driver, ISP officials said. Illinois State Police Acting Director Brendan Kelly confirmed Saturday morning that Trooper Gerald Ellis, badge 6038, was killed in the line of duty. 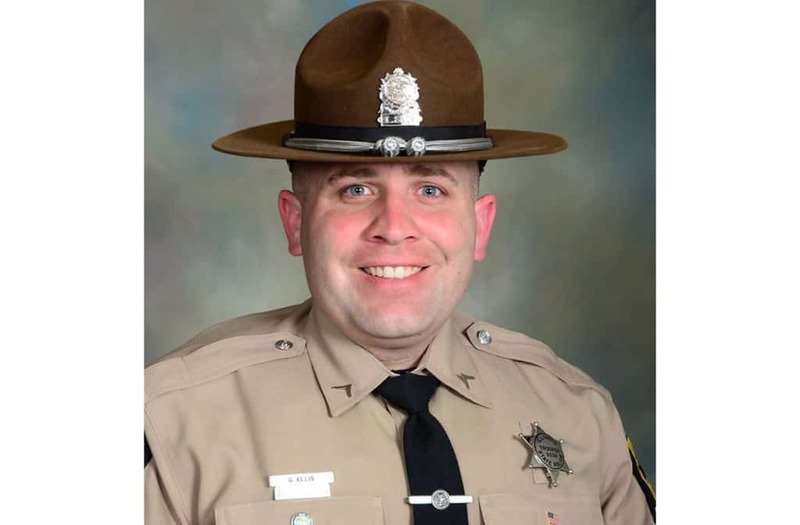 Kelly said that at 3:25 a.m. Saturday Trooper Ellis was on-duty in his squad car traveling home on Interstate 94 westbound near mile marker 16.75 in Libertyville when a wrong-way driver, who was traveling eastbound in the westbound lanes, struck the trooper head-on. Trooper Ellis was transported to Advocate Condell Medical Center in Libertyville with life-threatening injuries and was later pronounced dead, Kelly said. This is the second line of duty death of an Illinois State Trooper in the past two days. “While the men and women of the Illinois State Police are still grieving our recent loss, it is with profound heartache and unfathomable sadness that we inform you of the death of another fallen trooper, Trooper Gerald Ellis,” Kelly said. “Trooper Ellis laid down his life while protecting the citizens of this state. We are asking the public to respectfully give consideration to the family of Trooper Ellis and the ISP while we continue to process and work through this tragedy,” Kelly added. Trooper Ellis was 36 years old and an 11-year veteran of the Illinois State Police District 15 in Downers Grove.